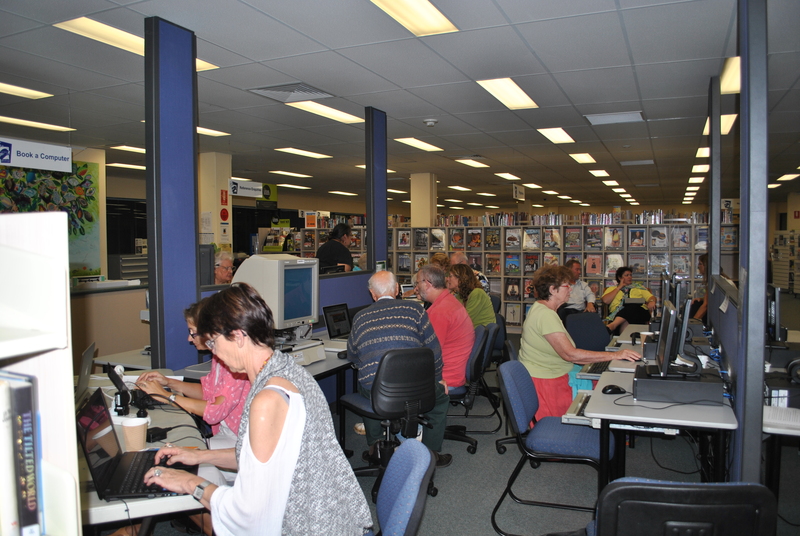 Workshops | Coffs Harbour Writers' Group Inc.
A hands-on practical workshop using Microsoft Word and your own laptop or tablet as a tool for preparing your written works. A hands-on practical workshop for writers of memoir, family history, fiction, fantasy, and all types of writing. Learn how to edit for structure (storyline​) and copy editing for grammar, spelling​, ​ and punctuation, and any ‘stand out’ inconsistencies of time, place or word usage. You will hone your techniques on your own or provided material and learn essential critical skills to gain a polished manuscript. A must for everyone who wants their work to be read and enjoyed! In this workshop,​ you will look at creating all things magical: worlds, creatures, characters and more. Learn how to weave a story where the only limitation is your imagination. In this workshop you will learn and practice the tools of effective characterisation, how to draw characters from a range​ of sources, make them real people, and work them into your writing realistically and successfully. Another exciting workshop is planned for May 3rd. Participants will learn how to turn your pasture into the ​lawn. The workshop will cover identifying and culling weeds like; words to avoid (and discuss why), repetition, redundancies, time stream, cliche’s, passive and active voice, showing versus telling, and much more. We will not worry about spelling and simple grammar. Hopefully, those prickles have already been dealt with. If you can present your work to an editor (or discerning reader) as an inviting, painless ‘walk’ your​ story is more likely to be considered. This workshop will explore the promise and perils of different publishing pathways; traditional publishing, vanity press, ​and self-publishing or “indie publishing”. 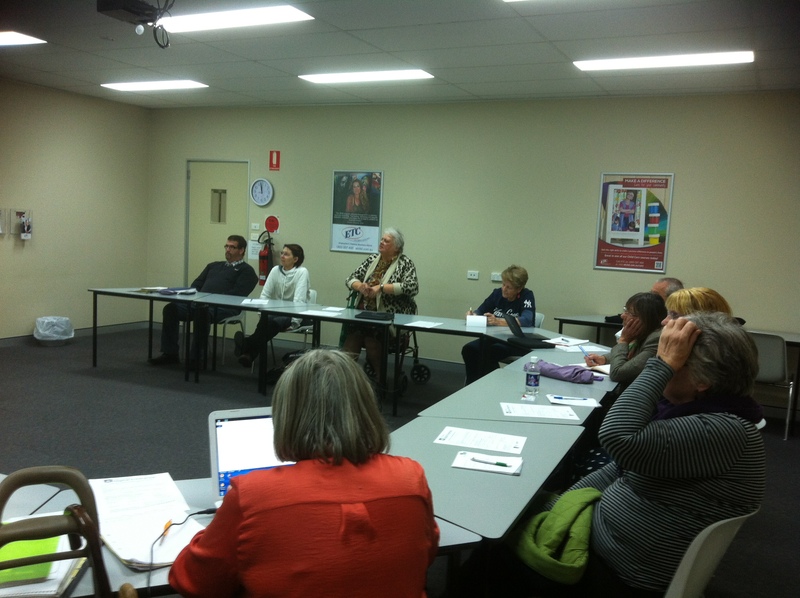 Facilitator: Margaret Penhall-Jones a local writer and editor. LOVE TO TRAVEL? LOVE TO WRITE? Calling all travel junkies! Coffs Harbour Writers’ Group is putting on a Travel Writing workshop which is sure to get your taste buds twittering, your feet itching and your fingers poised on the keyboard…and the credit card out to book that next ticket! Everybody likes to travel – to get away from day to day routines – whether it is too​ exotic locations or to a B&B up in the hills. In every one of those settings there is a story. It is up to the writer to capture the sights, smells, sounds, and, most particularly, personal stories to make that special place come alive for the reader. In this relaxed session, journalist and writer (and adventure traveler​, Leonie Henschke, facilitates group conversation to share, inspire, amuse and challenge other travel junkie writers! Bring along your memories! Leonie will ensure a practical, hands-on workshop with take-home​ messages and inspiration for new scribblers and experienced writers alike! This workshop will include breathing exercises to loosen up presentation nerves, joint storytelling​ exercises using emotions and music to capture the passion of your story and interactive presentations. Characters drive your story. Creating real characters makes your reader turn the page. This interactive workshop, for the aspiring or emerging writer of fiction or memoir, looks at techniques for creating characters that will live on in your readers’ minds after they close the book. We use some basic psychological insights to discover how you can create memorable characters that leap off the page and hook your readers from the beginning. We draw on examples from modern fiction, memoir and film to see how the experts did it! Facilitator: Margaret Penhall-Jones is a local writer and freelance editor, who is passionate about creating opportunities for people to develop their skills in writing craft, enabling creative ideas to come to life. She enjoys writing herself, especially romances and memoirs. Margaret is also an active member in the community with critique and memoir writing groups. Margaret is a member of Coffs Harbour Writers’ Group, Romance Writers of Australia and Romance Writers of America and a contest judge for Romance Writers of Australia. As a writer, if you ignore dialogue, or what you have written does not gel with a publisher who thinks about sales, then an edict, a small slip of paper, will flow from hallowed publishing halls: Rejected! In this ‘hands-on​’ workshop you will learn how ‘effective use of dialogue’ can be used as a powerful tool. When: Thursday 12th March, 5.30pm for 6pm start to 7.30pm. Why do you need to conduct research for your writing? Note: Bring your wifi capable laptop if you have one. Access to the internet will also be provided for those without their own device. Grassroots Writers’ Weekend – writing workshops open to all writers, from the beginner to published authors. Identification with your story: the use of emotion and words that express emotion. Techniques of presentation to an audience: properties of sound and movement in your voice. Painting vivid pictures with the use of words and speech. Building creative confidence in presenting your story. This workshop will discuss and share ideas on how to ensure your story contains a plot that will keep your readers turning pages. It will include the elements of plotting, avoiding distractions, character growth and development will be covered. Every genre has guidelines. Following them will ensure your story follows the rules. Recognising each element will simplify your writing process and help create clear, compulsive storytelling. 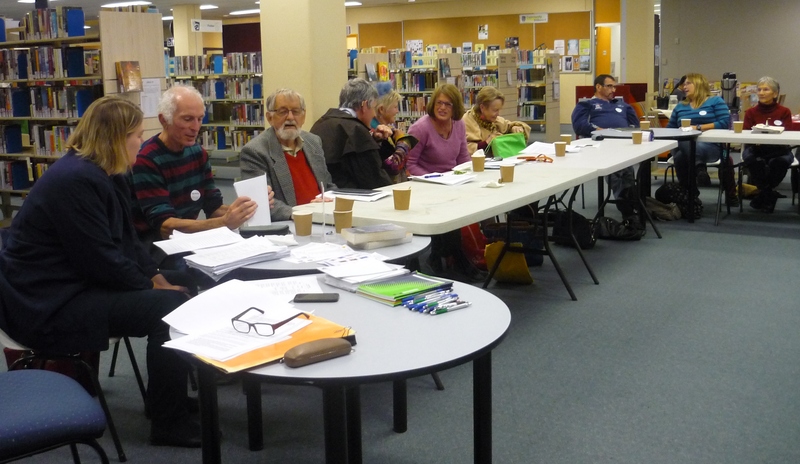 During the year our writers’ group assists our members and guests with relevant skills learning workshops held during the day at CeX Club or evenings at Coffs Harbour Library. Below is a list of the workshops being held during 2014. To register for these workshops please contact Lorraine Mouafi E-mail: lmproject@bigpond.com or phone 6653 3256, mobile: 0404163136. Thanks, Rosalie for sharing your knowledge and experience. 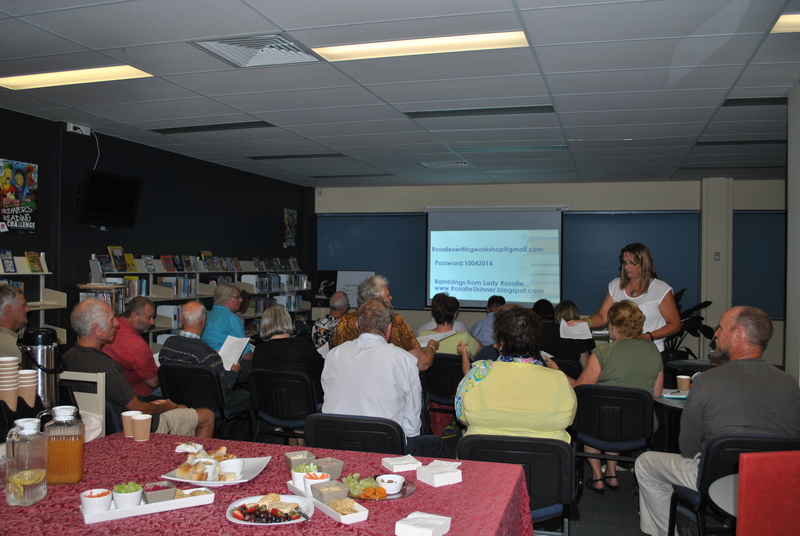 More than 20 members and guests were given a wonderfully​ interactive and real-time​ examples on ‘Pitching Your Synopsis’ workshop, facilitated by Leonie Henschke on Thursday evening 10th July, at Coffs Harbour Library. Participants were taken through what publishers are accepting in the form of manuscripts with conditions, including handouts on publishers various requirements and guides on preparing your synopsis. We were guided through the development of short and long write-ups of our own works, taking into consideration what sets your works apart from others and how and where it is going to fit into the marketplace. 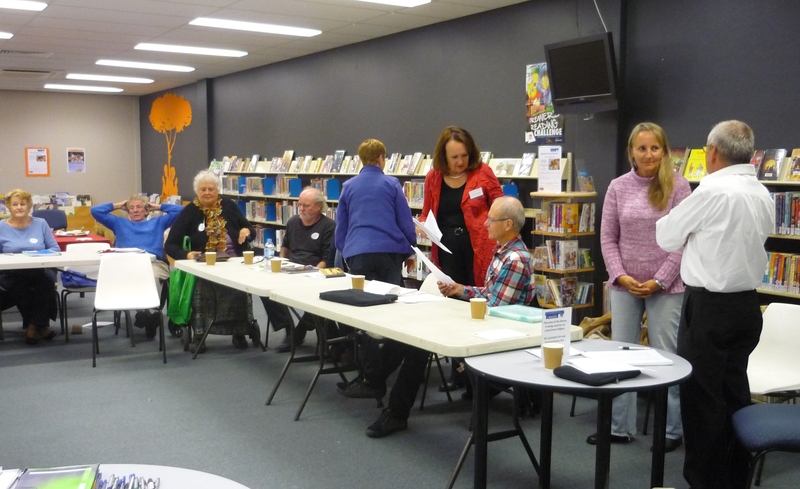 One of Coffs Harbour Writers’ Group members who recently returned from pitching her works in Los Angles shared her invaluable knowledge on the type of research required, including how she planned and presented her pitch to more than 100 agents. Great take away examples of what to do and what not to do, thanks, ​Lisa Riley. At the end of the workshop attendees who felt they were ready to present their works, were given an opportunity to participate in a ‘one on one’ pitch to a volunteer panel and the audience. This type of exposure was an ​invaluable experience for everyone. 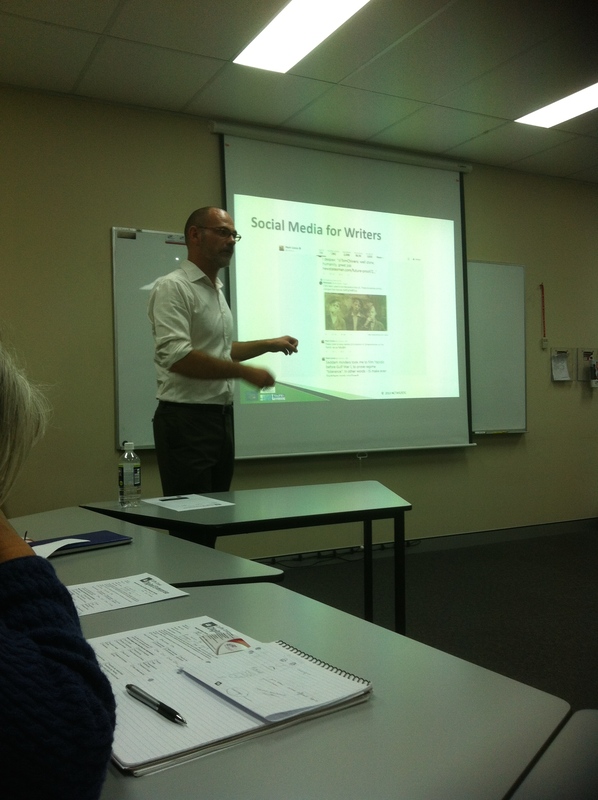 Fourteen members had the opportunity of attending a specifically planned ‘Social Media for Writers’ Workshop’ at Enterprise & Training Company Ltd (ETC) office in Coffs Harbour 15th August​ 2014. At the beginning of the workshop,​ most members had various levels of understanding on how to apply the benefits of social media. We were given an overview on the history of the Internet and when Facebook, Twitter, Instagram, Linkedin and Printerest came into existence, including where they are positioned in the social media sphere. Having​ ​an affinity with users of Facebook enables your news feeds to come up first. Being authentic with how you deal with the public and always post positive content, not negative. This is what engages your audience. Twitter is basically well used around media organisations, however,​ it can be used effectively to promote your blog. The younger audience predominantly uses Instagram and since it commenced four years ago, it has become second to Facebook and was purchased by them 2012. It is also now fast becoming the chosen social media outlet. People are engaging more now on Instagram than FB. It was obvious that whatever social media space you choose, make sure you post relevant information to determine what shows up in your news feed to increase your followers and liking ​what you post. Engage well with you fans, limit your ‘ self-promote​’, and create value, interesting information, which is entertaining. Give people the behind the scene information as this helps with your audience engagement. 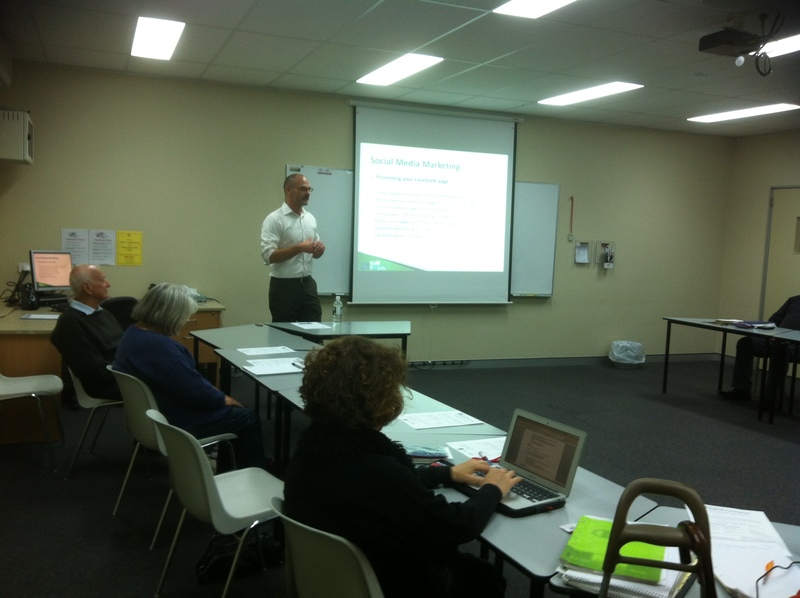 Thanks,​ Matt Angel for facilitating this worthwhile social media workshop and thanks ETC for accommodating our request.